The Grand Superintendent has decided to institute a new tradition. 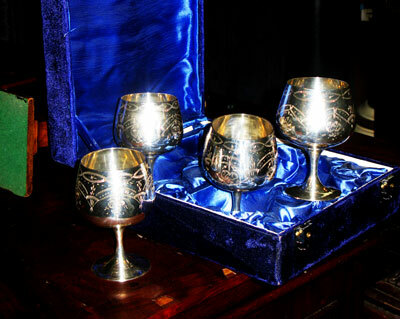 At each Chapter he visits, he will present a set of goblets to the Princiapls of the Chapter for their use on that evening. The Chapter is then required to present them back to the Grand Superintendent at the next meeting he attends, cleaned, so that he can again present them on. The Grand Superintendent hopes that by this method, Companions will mix within the Province and visiting, something he is very keen on, will grow.